The Ironbridge Gorge is the setting for one of the UK’s unique, most diverse and stimulating conference and events venues. The Ironbridge Gorge was the scene for some of the most creative thinking in the history of the industrial revolution, a process symbolised here by the worlds first cast iron bridge, now it’s the setting for creative thinking for the future. The magnificent Ironbridge and Tollhouse, built by Abraham Darby III in 1779, welcomes visitors far and wide into the small town which bears its name, brimming with both the bygone days of history and an essence of the ironmaking industry’s potential. 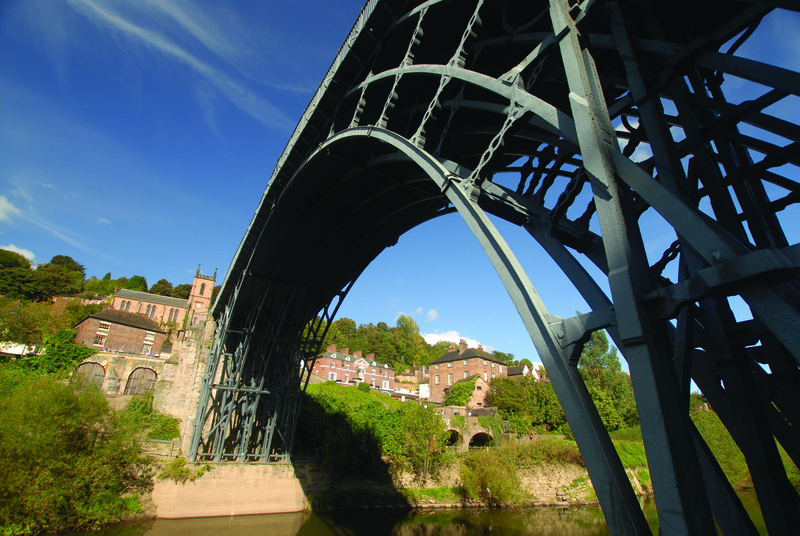 Conference attendees will receive tickets in their welcome packs to explore the beautifully preserved sites and myriad of museums that Ironbridge has to offer during their stay. Step into history with the popular Blists Hill Victorian experience to gain a hands-on insight into life over one-hundred years ago where visitors can try their hand at activities such as candle making and printing, and explore original industrial monuments such as the Hay Inclines Plane and Blast Furnaces. The Darby Houses also offer a charming insight into the lives of the Darby family and the Coalbrookdale’s Quaker ironmasters through original family collections, papers and costumes. Other attractions deep-rooted in history include; Broseley Pipeworks, a fascinating time-capsule a of an abandoned 1950s factory, and Tar Tunnel, an extraordinary 18th century site where Treacle-like black bitumen struck in 1787 is still oozing through the walls. Ironbridge is also reowned for its quality and variety of museums on offer to visitors, with a total of ten museums to explore against the backdrop of the Ironbridge Gorge and River Severn. Visitors can enjoy an interactive approach in discovering technological and scientific advances in Enginuity, which has recently celebrated its tenth anniversary. Hands-on opportunities are also available at the Coalport China Museum and Jackfield Tile Museum through live demonstrations of traditional techniques of pot throwing, china making and tile decorating. As the UK’s Number One UNESCO reccommended site, the Museum of the Gorge and Coalbrookdale Museum of Iron provide visitors with a captivating insight into the history of the Ironbridge Gorge and its importance in world history. For more information please visit the Ironbridge Gorge Museum Trust website.